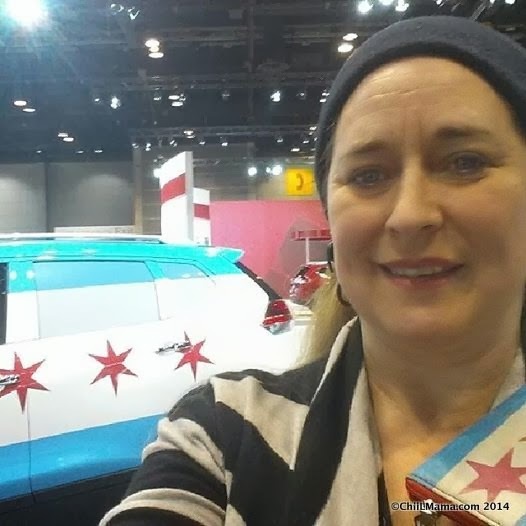 Disclosure: We're elated to be partnering up with ChicagonistaLIVE, Nissan, RedEye, Cars.com and The Chicago Tribune this year, for Women's Day at the auto show and have been compensated for sharing this information with our readers. 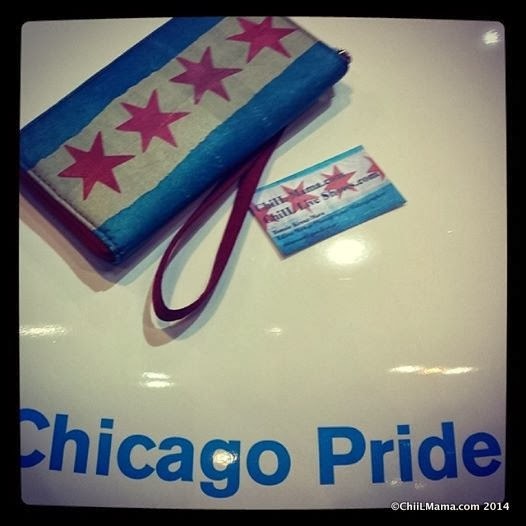 ChiIL out with ChiIL Mama for news, reviews, interviews & adventures in Chi, IL and beyond. Hey Nissan--rockin' ChiIL Mama Rogue! It matches my blog header, business cards, and wallet! 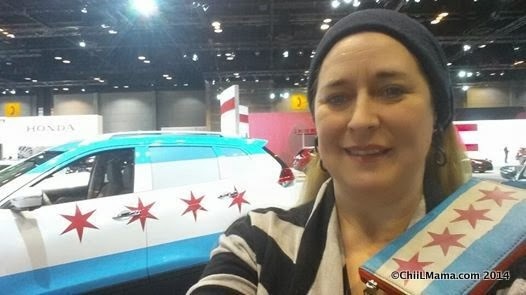 Here at ChiIL Mama, it's been a thrill to be back at The Chicago Auto Show 2014 for both media only days last Thursday and Friday as well as Women's Day on Tuesday, with ChicagonistaLIVE. In past years we've done a number of week long test drives, auto videos reviews, and photo features, and we'll be continuing our Auto Coverage for 2014 under the new heading ChiIL Rides. The Women Driving Excellence program on Tuesday was a highlight of The 2014 Auto Show. Check out our full slideshow right here. It's truly a treat to see so many smart, talented women being honored. This year, eight amazing women – Karyn Calabrese (restaurateur and author), Mary Couzin (CEO and Founder of Chicago Toy and Game), Jory DesJardins, Elisa Camahort Page and Lisa Stone (BlogHer founders), Susanna Jung (president and CEO of Price Futures Group), Sherren Leigh (CEO of Today’s Chicago Woman magazine) and Natalie Martinez (NBC Chicago reporter) – received recognition for their outstanding efforts. 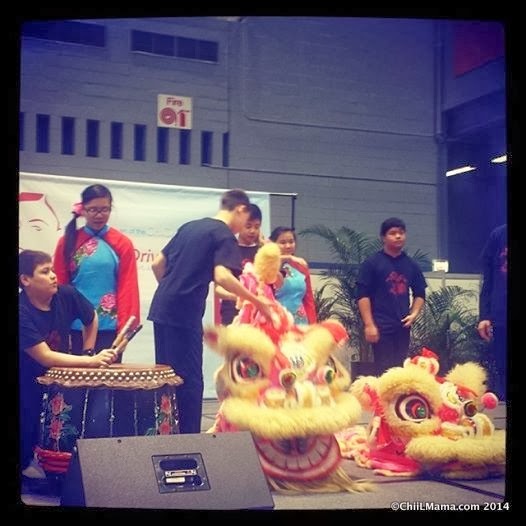 The day began with a bang as children from St. Therese Chinese Catholic School performed a lion dance and a ribbon dance for Chinese New Year. We had a mid day stretch and a bit of inspiration from fitness celeb, Andrea Metcalf, and cabaret stylings by Miss Lori. Later Andrea interviewed me on camera for a segment on moms' car purchasing priorities! Safety and dependability are a given. And sometimes the little things aren't so unimportant. Rear seat cup holders would be an incredible improvement, since I drive tweens around daily who need food & drinks in the car on tight turn around days, between school and team practices. No cup holders equates LOTS more spills. I got to borrow a Camaro SS convertible for a week last summer and I LOVE test driving powerful sports cars. But the reality is, I drive the city streets for hours, on carpool detail, and rarely can legally get above 30. So at this juncture, safety rating, reliability, passenger space, useful xtras, and cargo room are my huge priorities. That said, at the risk of bringing up horrid, archaic female stereotypes about women only caring about car color... I have always wanted a bright blue car and never driven anything in a color I remotely liked in the 30 years I've had a license. We actually are in the market right now, to replace my aging burgundy RAV4, so this new blue Rogue had me fairly drooling! 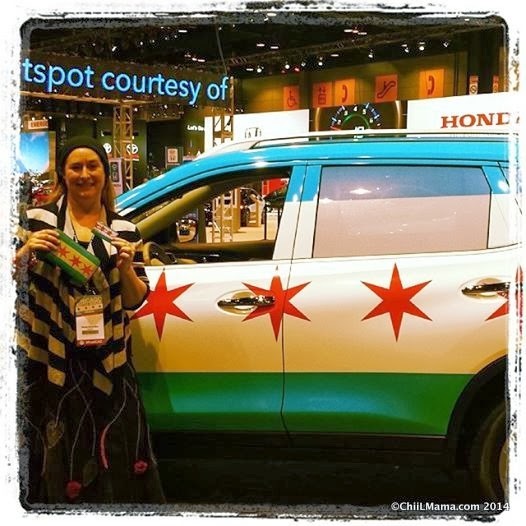 I also totally geeked out on the Chicago themed Nissan Rogue I nicknamed The ChiIL Mama Mobile. It was a joy to meet and network with so many incredible women. We were particularly jazzed to meet Elisa Camahort Page of BlogHer fame, and 2010 Olympic speed skater, Nancy Swider-Peltz Jr., who gave me an autograph & a personal note for my 10 year old daughter, Sage, aspiring Olympic gymnast. Nancy's coach/mother/namesake is in Sochi right now, and you can follow along on her Olympic adventures via blog, by clicking here. It was a pleasure to be serenaded by some of the Broadway touring cast of Phantom of The Opera. 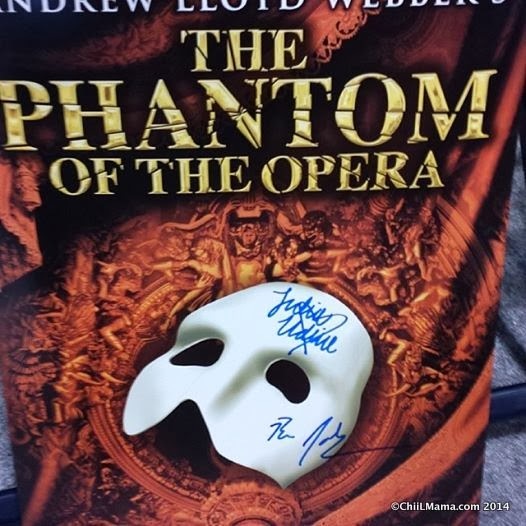 They had a post performance Q &A and I was one of the lucky few to score an autographed Phantom of The Opera poster. Sage and I had press tickets to review opening night and we loved it! Sage raved about all the parts she enjoyed, but conceded she was also a bit creeped out by the Phantom. She even coined a new term and told me she'd been "dramatized" ie: traumatized by drama. 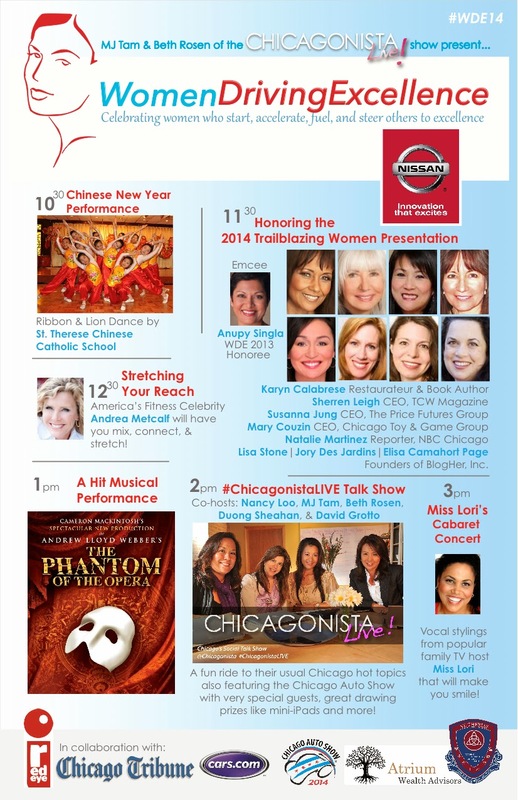 Thanks again to Chicagonista for inviting us to be one of the official bloggers to cover the Women Driving Excellence awards, ChicagonistaLIVE, clips from Broadway in Chicago's Phantom of the Opera and more on Women's Day, February 11th. Click here for loads of our past photo and video filled Chicago Auto Show Coverage from 2013 & 2012 then check back with ChiIL Mama like we vote in Chi, IL... early and often, for our comprehensive 2014 Auto Show recaps coming soon. 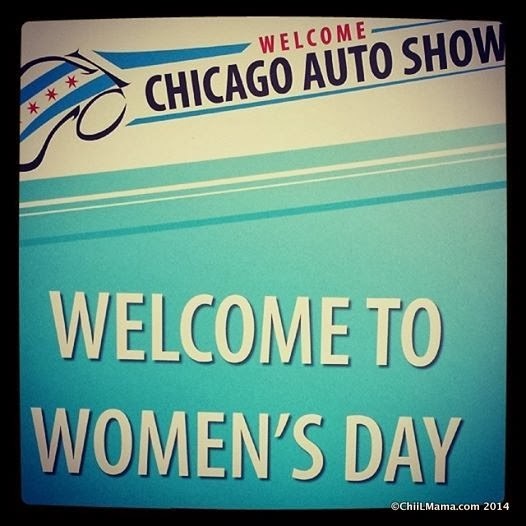 Disclosure: Once again, we're elated to be partnering up with ChicagonistaLIVE, Nissan, RedEye, Cars.com and The Chicago Tribune this year, for Women's Day at the auto show and have been compensated for sharing this information with our readers.